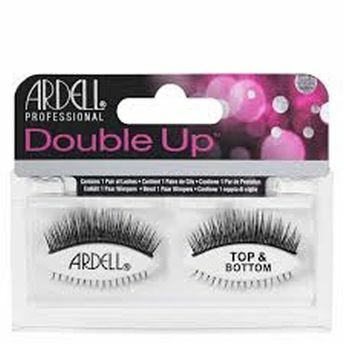 Ardell Double Up Lashes have twice the amount of lashes for a more dramatic look. Double layer style gives you a fuller, thicker look. These lashes are reusable. Each lash strip is knotted and feathered by hand to achieve the highest quality.